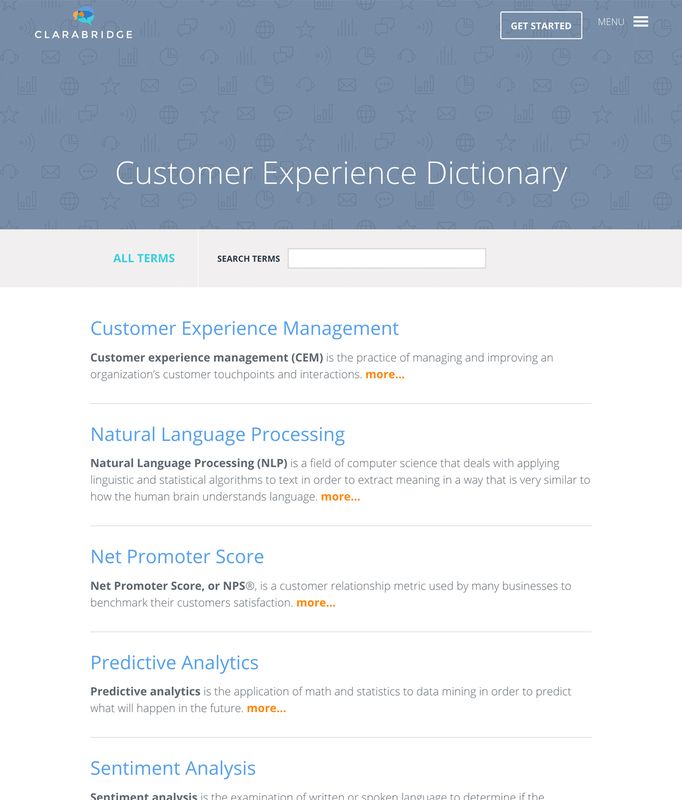 Clarabridge, the world’s most comprehensive customer experience management platform, called upon Peaktwo to design and build their next-generation web presence. 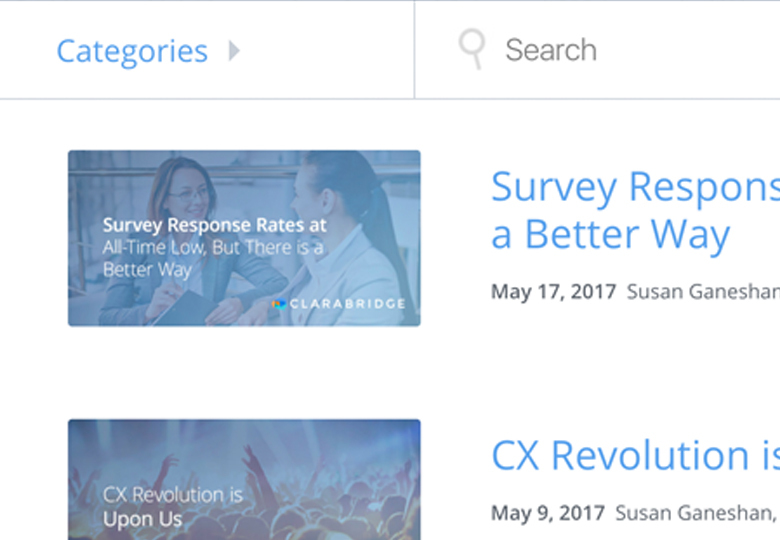 Clarabridge’s leadership team wanted a site that was not only visually impressive and positioned for a company at the top of their market, but one that also concentrated on key objectives like SEO and lead generation. They also wanted it to display their softer side—their genuine, fun-loving staff, for example—while still offering clear evidence that their focus was fixed on their customers. 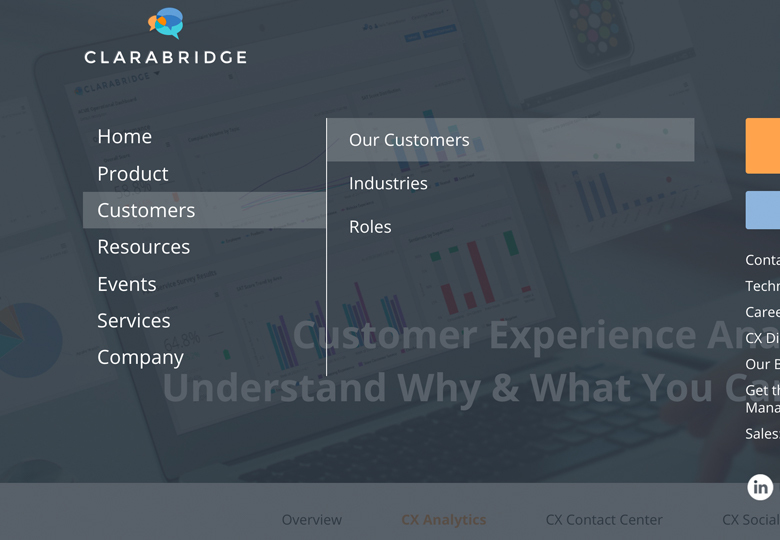 The original site’s substantial technical aspects weighed down Clarabridge’s innovative solutions, and while it was also rich in technical content, it struggled to connect its message with Clarabridge’s buyers, executives, marketing teams, and customer care managers. Peaktwo created a new site that kept these decision-makers in mind, with content tailored to their customers’ needs, and just enough information to spur their interest and generate leads. The site is rich in Hubspot integration, site analytics, and the key tools a CMO needs to operate a successful digital marketing program. Our goal was to build an SEO First website and while doing so, capture the latest trends in responsive, visually pleasing, impactful websites. Peaktwo hit a home run. I’d highly recommend them to any CMO.